What Happens When Video Evidence Contradicts an Officer’s Testimony in a DUI Case? Many Florida police departments are now equipping their officers with body cameras. These devices record encounters between police and individuals, such as during a traffic stop where the officer suspects a DUI. In addition to promoting police accountability, evidence obtained from cameras can be useful in corroborating or disproving an officer’s testimony in court. But evidence is not worth much when a court refuses to consider it. The Florida Supreme Court recently addressed this in the context of a DUI case. According to the Supreme Court, a lower court chose to ignore camera evidence that “totally contradicted and totally contradicted” a police officer’s stated reasons for pulling over the defendant and ultimately arresting him for DUI. This case actually involved a video recording made by a camera on the dashboard of the officer’s police car. The officer had a body camera–and was required by the local sheriff’s department to use it–but for some reason he did not. In any event, the dashboard camera provided “real-time video” of the events leading up to the officer stopping the defendant. According to the officer’s written and oral testimony, he observed the defendant driving erratically, swerving “from one lane to another.” Based on this, the officer pulled the defendant over and administered several field sobriety tests. The defendant was then arrested and formally charged with DUI. Under Florida law, an arrest automatically suspends a person’s driving privileges. A defendant may request an administrative hearing before the Department of Highway Safety and Motor Vehicles to seek reinstatement. The defendant did so here. When the Department declined to reinstate the defendant’s license, he filed a petition for judicial review with a Florida circuit court judge. The judge reviewed the dashboard camera footage, concluded it refuted the officer’s testimony, and ordered the reinstatement of the defendant’s license. As later characterized by the Supreme Court, the video showed the defendant was “driving totally within the proper lines” and gave no other indication of erratic behavior. The police officer therefore did not have “probable cause” to stop the defendant in the first place. An intermediate appeals court then reversed the circuit judge’s order. The appeals court did not question the validity of video evidence. Rather, it held the circuit court should “accorded deference” to the Department’s decision to rely on the officer’s testimony instead of the video. The appeals court then asked the Supreme Court to weigh in on the matter. The Supreme Court’s decision is welcome news for anyone facing a DUI charge. As video cameras become more commonplace in police work, defendants and persons accused of crimes have the right to use video evidence that contradicts officer testimony. 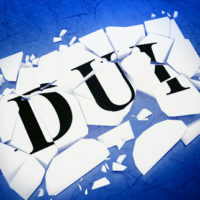 If you have been charged with DUI and need assistance from an experienced Miami criminal defense attorney, contact the Law Office of Julia Kefalinos today.